What makes it special: The 1968 model had a new grille with headlights arranged horizontally, although the body was essentially the same 1967 car from the windshield back. The ‘long hood, short deck’ style with a more upright roofline and a notchback rear was followed too, as was the new trend for concealed headlights on the XL and LTD. One other change for 1968 was that the base V8 engine increased from 289 to 302 cu in. Standard equipment included courtesy lights, a cigarette lighter, a suspended gas pedal, and padded front seat backs. What made it famous: The 1968 models featured additional safety features, including side marker lights and shoulder belts on cars built after December 1, 1967. The 1967 model’s large steering wheel hub was replaced by a soft “bar” spoke that ran through the diameter of the wheel and like the 1967 style, was used throughout the Ford Motor Company line. A plastic horn ring was also featured. Why I would want one: It’s such a trustworthy car. It can be a family car, custom cruiser or all-out drag strip competitor. 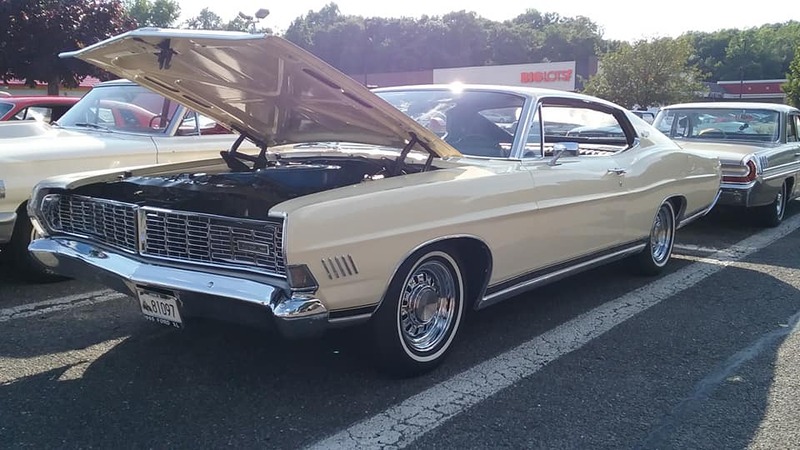 Fun fact: The “regular” Galaxie 500 continued below the LTD as Ford’s mid-level full-size model from 1965 until its demise at the end of the 1974 model year.